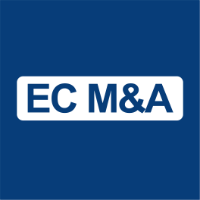 Based in New York, Pim is responsible for all aspects of EC M&A’s advisory activities including origination, execution and client relationship management. Prior to EC M&A, Pim worked with Atlas Advisors on cross-border public and private M&A transactions in a variety of industries, and with J.P. Morgan’s investment bank in London and New York, where he worked on advisory and capital raise assignments. Pim holds a postgraduate degree in Japanese Studies from Leiden University, the Netherlands and graduated with honors from the Rotterdam School of Management at Erasmus University, the Netherlands with an M.Sc. in Business Administration. He is a member of the Board of Trustees of the Metropolitan Montessori School in Manhattan. Pim is a Registered Representative and holds Series 7 and 63 FINRA licenses.